Pinterest is still one of the relatively new social networks on the web, but it’s a powerhouse when it comes to driving website traffic. Over the last year, Pinterest has been climbing the traffic source ladder and has been giving Mr. Zuckerberg and his Facebook team a little something to think about. Pinterest is the number two source of social media sourced website traffic. As a business marketer, can your company afford not to participate on this social network? Pinterest is a visual wonderland that acts as a virtual bulletin board where people can “Pin” their favorite photos, recipes, books, travel destinations and anything else they might find inspirational. The site is wildly popular among American women, but it’s demographic reach is starting to spread. With over 70 million users, it can’t be ignored as a marketing channel. Start using Pinterest and discover a new stream of traffic for your website. Here are a couple tips to help you crush your competition and become a Pinterest pro. Like with any marketing objective, you need to plan and create a strategy. It might be tempting to jump in with both feet and start pinning to your boards, but resist the urge. Take the time to properly set up your business page. Fill out all the board descriptions and keep in mind keywords that your buyer personas may search for. Set up the links to your website and social media channels on your profile. Prepare your company website to become Pin friendly. Install the Pin It button which allows people to Pin photos directly from your website, giving a link back to your site when they do. Add a Pinterest Follow Me button on your website, email footer, newsletters, email marketing, and blog posts. Each Pinterest pin has a place to add a source link. This allows the user to click on the image and visit the web page where the content originated. This link can be added or changed in the Edit area of the pin. If content has been “re-sourced” with a false URL to another site, don’t repin it—report it or leave a comment. Give credit where credit is due! It’s time to start Pinning! As a marketer, it’s important to always keep your buyer personas in mind when creating new pin boards and pinning content. Is the content you’re sharing helpful to your buyer personas? Does it help them solve a problem? Will it inspire them? Will they share it? These are questions that need to be considered when pinning. Just like other social networks you need to stand out and follow best practices. If you don’t your follower number will be knocking on the basement door instead of reaching for the clouds. Take advantage of the Rich Pin functionality. These are pins that included extra information right on the pin itself. There are currently five types of Rich Pins: recipe, movie, place, product, article. Creating Rich Pins is a little more work intensive as you’ll need your web developer to insert some meta tags then have them approved by Pinterest. If your business utilizes specific locations, books, products, recipes, or movies then Rich Pins is definitely worth the effort. Pinterest lets you @tag other users and so they are notified when you are talking directly to them. It also allows you to use hashtags (#) to highlight keywords. By taking advantage of these features, you’ll be way ahead of the majority of Pinterest users when it comes to user engagement. Here’s an interesting factoid, 80 percent of all pins are repins. Make it your goal to be part of the 20 percent that supplies the original content for the 80 percent. Do this by using remarkable images for your blogs. Make sure they stand out and catch people’s attention. You can also Pin different type of content such as infographics, videos, text overlays. These different forms of content are highly shareable and stand out from the vast majority of photo pins. Don’t only self-promote and pin your own content. Visit other websites and Pin content you think your buyer personas would find useful. This is called content curation and it’s a useful part of social media marketing. Pinterest is a fantastic tool for running promotions, competitions, and selling products. Just be sure to give them value and engage. Create simple and clear instructions. Be sure to check the Pinterest guidelines for running promotions and brand guidelines for using logos and other promotional imagery. Where would we be if we didn’t have tools? There are many useful third party tools that make using and marketing with Pinterest even better. The following lists of tools will help you become a Pinterest master. Pinterest Mobile App – Great for pinning when you have a few minutes away from the computer. Viral Tag – This affordable Pinterest management tool allows you schedule pins and gives you a wealth of reporting options. Pin Alerts – Use this tool for tracking images pinned from your website or any website. Each time some pins something you’ll receive an email. Measure, Analyze, Test It’s important to measure your Pinterest strategies to see what is working and what is not. Use Pinterest Analytics, Google Analytics, HubSpot Reports or your preferred third party reporting software to track the Pinterest referrals. There’s nothing worse than wasting time on strategies that don’t work. Track results and run with the efforts that are growing your Pinterest audience and driving traffic to your website. These are some of the top ways to build a large Pinterest following as well as driving a lot of people to your website. 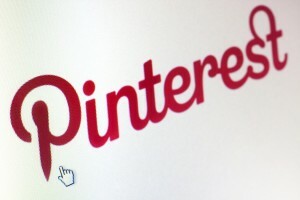 Pinterest, if used correctly with a solid strategy behind it, can be a powerful marketing tool. The most important tip I can give is to NOT be a dry piece of toast business. Be human, be a part of the community.